We are ceiling fan specialist store and Philips lighting outlet in Hong Kong. Store displays all variety from small to big ceiling fan, from small room to living room light fittings. All products will have warranty from dealer and economy installation services provided by our technician. We, TriLight Zone, have only one unique store. Others that selling ceiling fan on the internet has no relation and no obligation to us. Our website domain named only with www.TPLighting.hk / www.CeilingFan.com.hk / www.CeilingFan.hk. Please kindly clarify before you visit. 紅綠燈暫別無其他分店, 只此一家, 網址只有 www.TPLighting.hk / www.CeilingFan.hk / www.CeilingFan.com.hk. 約任何其他店舖於網絡銷售吊扇燈/風扇燈, 均與本店無關. 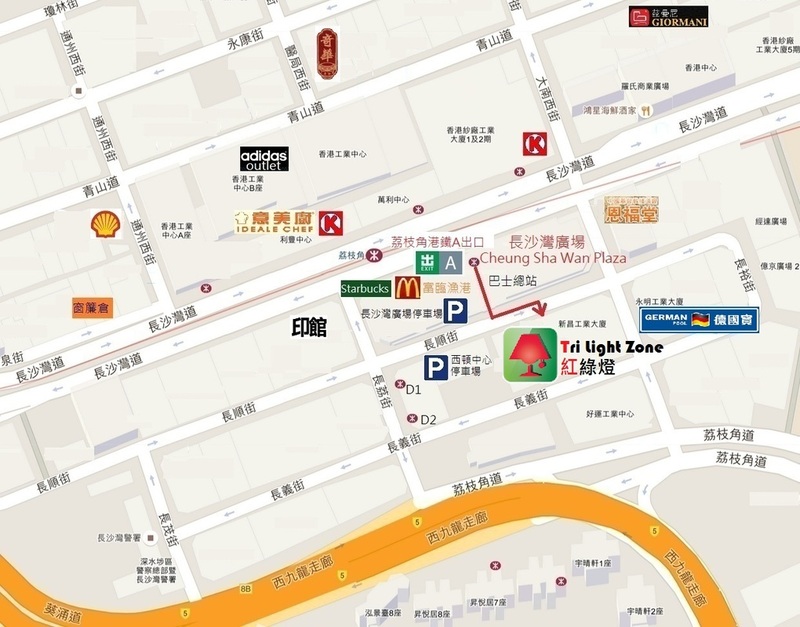 Unit 302A, 3/F, Sun Cheong Industrial Building, No.1 Cheung Shun Street, Lai Chi Kok, Kln. * Customer will have maximum 1 hour parking redeem on any purchase over HK$500 in Cheung Sha Wan Plaza or Saxon Tower, parking fee will be deducted directly from the invoice. Kindly provided your parking slip if possible to our cashier while making purchase for this offer.